Scrabble has invaded just about every medium out there. It started as a mere board game, but has since spawned numerous board game spinoffs and variations, an electronic version, mobile apps for just about anything (Android, iPhone, iPhone, iPad and Kindle), games for both PC and Facebook, and video games for handheld consoles like the Nintendo DS and Sony PSP. Heck, it's even on the PlayStation and Xbox 360 gaming consoles. And it hasn't forgotten about film. You can see Scrabble featured in movies such as Rosemary's Baby and Sneakers, as well as a few documentaries specifically about the game. Now, Scrabble has conquered another medium... television. Okay, so Scrabble has appeared in television shows plenty of times before. The game appeared regularly in The Simpsons and most recently on Curb Your Enthusiasm. But the recent addition to television isn't a normal show... it's a game show. Scrabble Showdown is a new game show airing on The Hub cable network, produced by Hasbro Studios. The half-hour long show debuted last Saturday and featured families competing against each other in a variety of games, including Scrabble Babble, Scrabble Slam, Scrabble Flash and a Final Lightning Round. The prizes are the norm for game shows of this kind, mainly vacations. Preview of the Scrabble Lightning round. But there's nothing special about this game show. Scrabble is a highly competitive game with a strict set of guidelines to follow for professional tournament play. But all of that is thrown out the door, comparing Scrabble Showdown to family fare such as Wheel of Fortune or Family Feud, rather than intellectual play as in Jeopardy. It's fun, but not challenging... at all. If you watched the clip above, you probably would have guessed the correct words from the mixed up letters in milliseconds. SRTWA? ATICNO? OROBT? IGNBO? Really? You definitely don't need any real Scrabble skills to play on this game show, which is a shame. But what do you expect? It's a family game show, opening at the same time as the Life game show on the Hub... a very kid friendly show, which is not a bad thing... if you have children. Maybe if Scrabble Showdown was made outside of North America, it would be better. Just look at the difference between adverts in the states and abroad. The video spots are completely different, with Hasbro favoring family and Mattel being adventurous, sometimes even shocking. 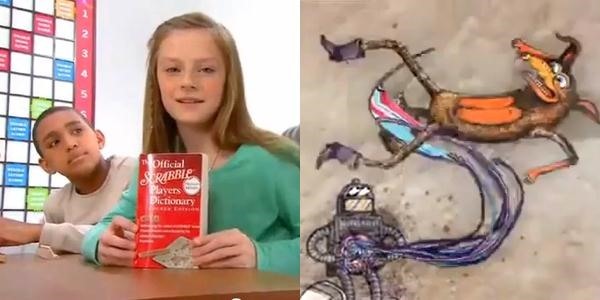 Hasbro commercial versus a Mattel commercial. It reminds me of the cancelled game show merely called Scrabble. Yes... Scrabble Showdown was not the first Scrabble game show. The original Scrabble game show aired from 1984 to 1990 and again in 1993, hosted by game show magnate Chuck Woolery. It was much more challenging than the new one. By far. If there's ever going to be another Scrabble game show, maybe it should be geared more toward actual competitive Scrabble players, not middle school kids and their parents. Just picture Nigel Richards sparring against Joe Edley, or Dave Wiegand matching wits with Adam Logan. Now that's entertainment. Alas, a truly competitive Scrabble show will probably never be realized. But if you have kids, you shouldn't ignore Scrabble Showdown altogether. It, along with all of the kid-friendly versions of the game out there, is a great way to educate your children. 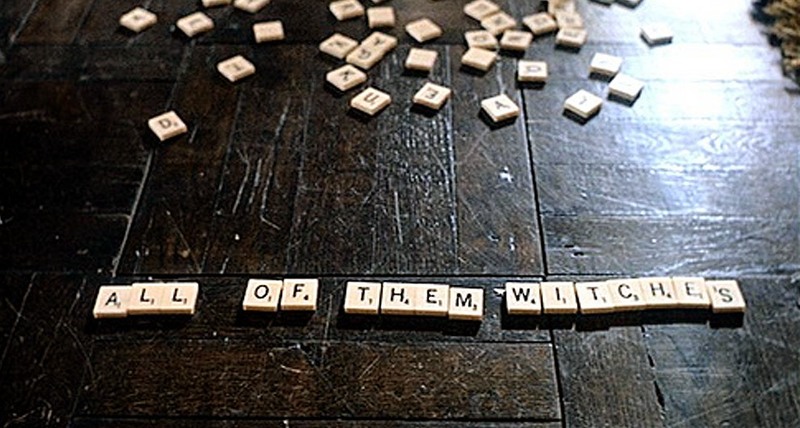 Maybe one day they'll be the next World Scrabble Champion.